Stand out and stay warm this season with the Elodie printed chevron quilted jacket. 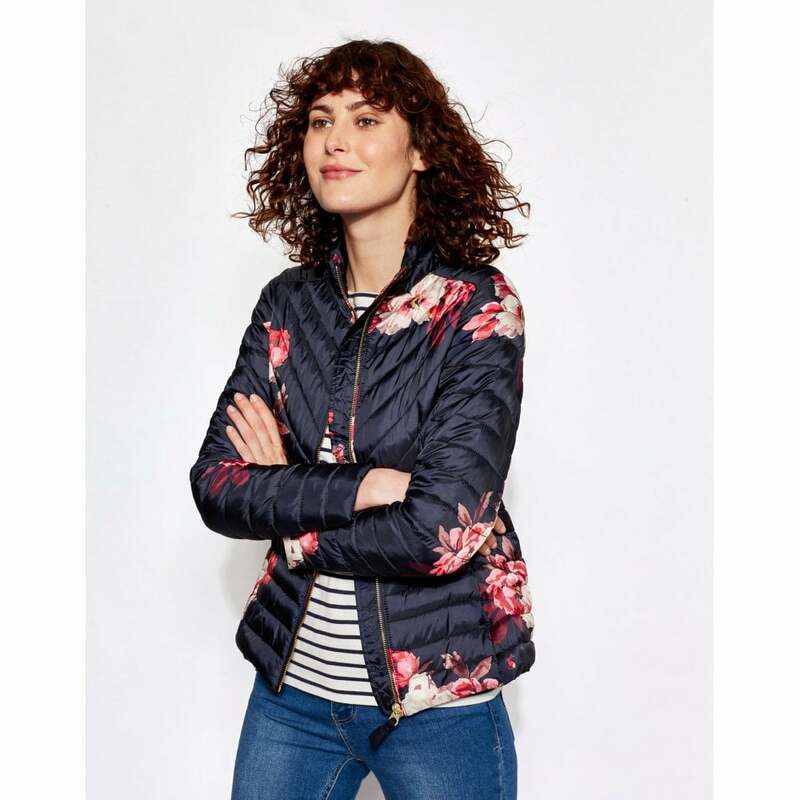 The gorgeous marine navy bircham bloom print is lovely classic navy jacket with delicate pink flowers. This stylish fitted jacket is fully lined and quilted for extra warmth.